If you are a car fanatic, listen up. 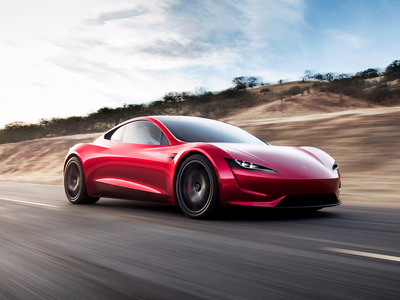 The transportation team at Business Insider is looking to hire a paid intern to write about the most innovative, luxurious, and technologically advanced cars coming to market. Business Insider interns are a vital part of our team and participate in everything from pitching, reporting, writing, and producing stories. Experience writing for a news outlet or a degree in journalism or related concentration. A passion for car culture, an understanding of new auto technologies, and knowledge of all the latest car rumours and news. A strong understanding of the car industry and familiarity with major car companies like Tesla, BMW, Mercedes, Volkswagen, Volvo, Toyota, General Motors, Fiat Chrysler, and Ford. An interest in all forms of transportation technologies, including electric vehicles to futuristic travel technologies like the Hyperloop, self-driving cars, and sonic jets. A willingness to also write about other types of transportation, including trains, planes, and ships. If this sounds like your dream job, APPLY HERE. Be sure to send us a resume and cover letter. This position starts in January and runs for 6 months. It also requires 40 hours a week.